Last week, for the White Sox opener, we talked about Johnny Mostil, a native Chicagoan who played his entire major league career in a Chicago uniform, and was also a Sox star. Today is the Cubs home opener. Today the subject is a Cubs star. 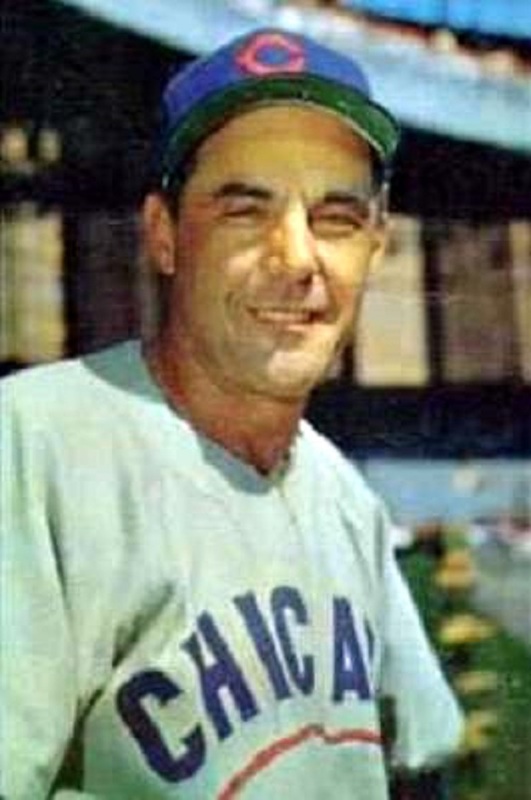 Phil Cavarretta was born twenty years after Mostil, in 1916. Unlike Mostil, he made it to the major leagues quickly. Phil was only 18, and a few months out of Lane Tech, when the Cubs signed him in 1934. In his first appearance at Wrigley Field, he hit a home run. The next season Cavarretta became the Cubs’ regular first baseman. He developed into a solid left-handed hitter known for his hustling style of play. Injuries plagued him. Separate broken ankles kept him out of action for much of two seasons. Cavarretta was rejected for World War II service because of a hearing problem. Now in his late 20s, he hit his playing peak. In 1944 he made the All-Star team for the first time. The next year was Cavarretta’s year. In 1945 Cavarretta hit .355 to win the National League batting championship. He was named the league’s Most Valuable Player, and led his team into the World Series–the last time the Cubs made it that far. Though the team lost, Phil batted .423 for the seven games. 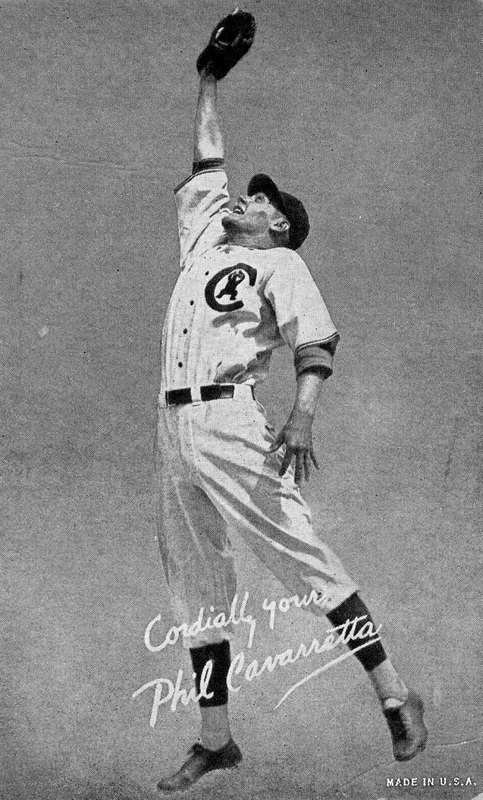 After the war ended, Cavarretta was named an All-Star twice more, showing he was more than a wartime flash. Meanwhile, the Cubs were going into a long decline. In 1951 team owner P.K. Wrigley made his most popular player the manager. Cavarretta continued to play part-time. His record as a manager was mixed. Just before the start of the 1954 season, Wrigley fired him. Always honest, Cavarretta had told his boss that the team had no hope of making the first division. But Cavarretta wasn&apos;t through. After 20 years with the Cubs, he now signed with the White Sox as a first baseman and pinch-hitter. He got into 71 games and hit .316. That proved to be his final spurt. Early in the 1955 season the Sox released him. Cavarretta stayed in baseball another two decades, managing in the minor leagues, working as a hitting coach, and doing some scouting. He died in 2010 at the age of 94. At the time of his death he was the last major leaguer to have played against Babe Ruth.